html 77a43dd John Blischak 2018-01-12 Build site. 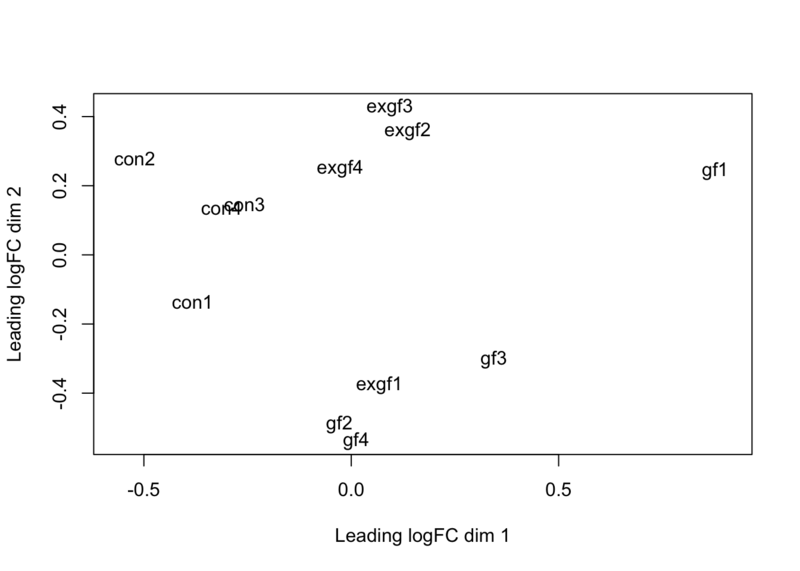 Analyze RNA-seq data from Hoban et al., 2016, which measured gene expression in the prefrontal cortex of 3 groups of mice: conventional (con), germ-free (gf), and germ-free colonized with normal microbiota (exgf). Describe the scientific question, the experimental design, and the data collected for the 3-group study. Review RNA-seq technique and the need to standardize by library size. Use colSums to calculate the library sizes and run summary to appreciate the variability. Use edgeR::calcNormFactors and edgeR::cpm to calculate TMM-normalized counts per million. 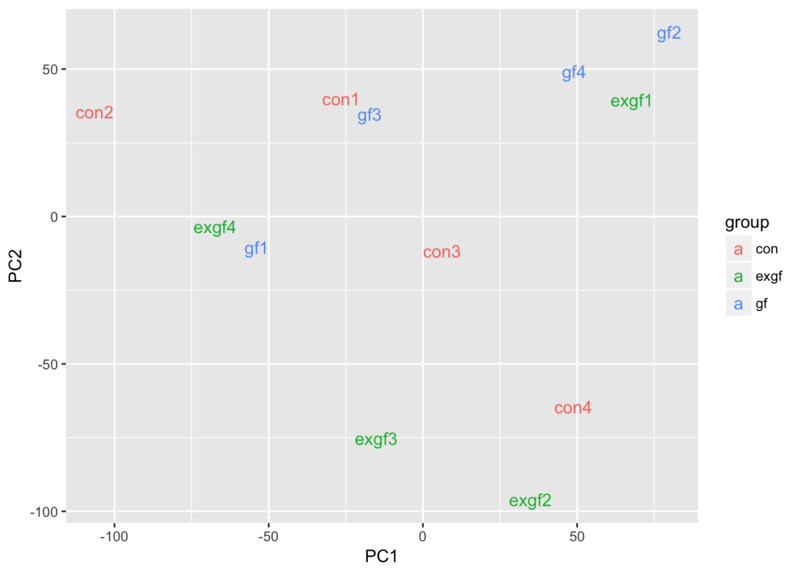 Use limma::plotDensities to visualize the distribution of counts and the distribution of counts per million. 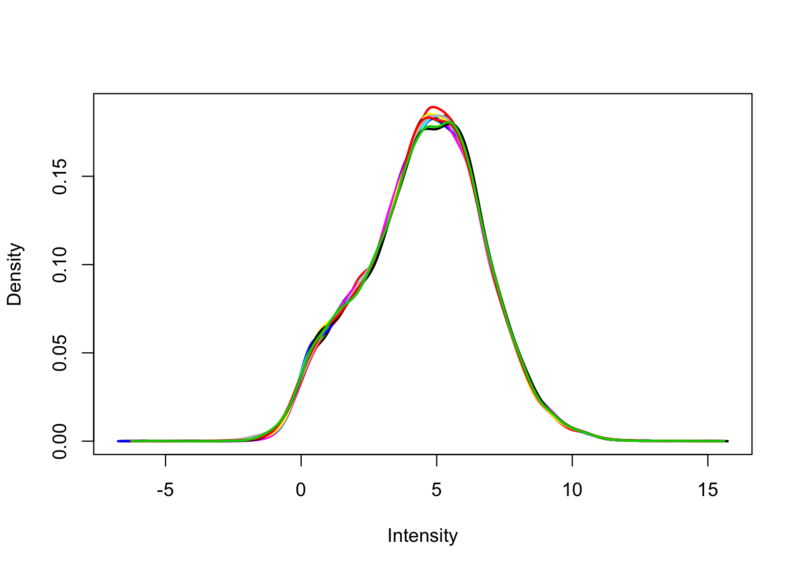 Describe the process of filtering lowly expressed genes (show density plots from previous exercise to demonstrate bimodal distribution) and identifying outlier samples with PCA. Discuss the nuances of removing outlier samples. Remove any gene that does not have at least a log2 cpm > 0 in at least 4 samples (n = 4 per group). 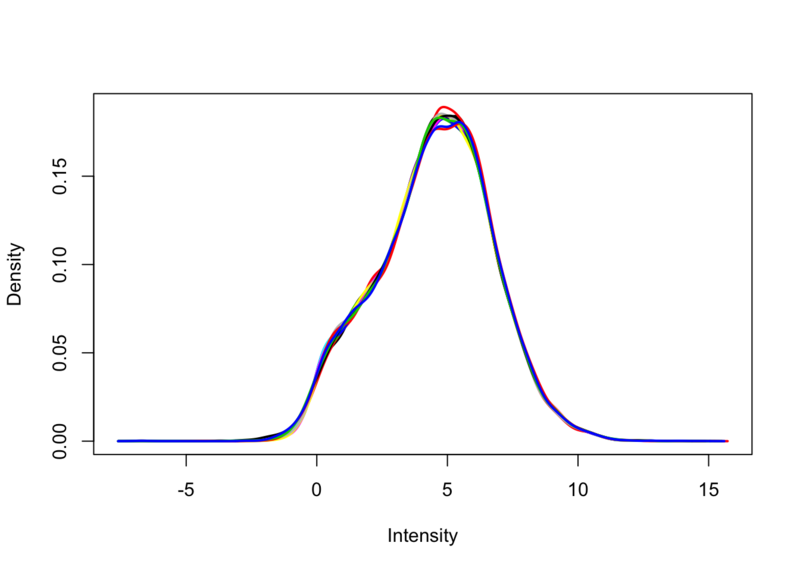 Use limma::plotDensities to confirm the distribution of counts per million is unimodal post-filtering. 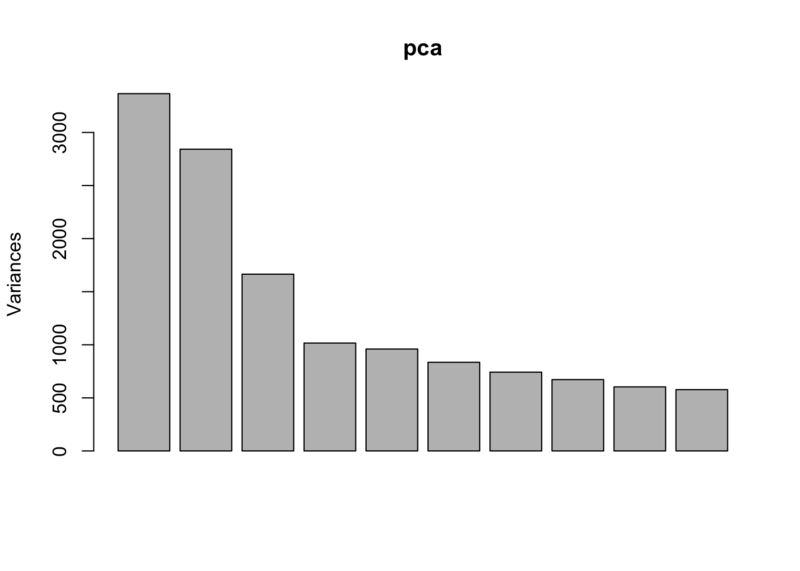 Use prcomp to calculate PCA and then plot PC1 vs. PC2. 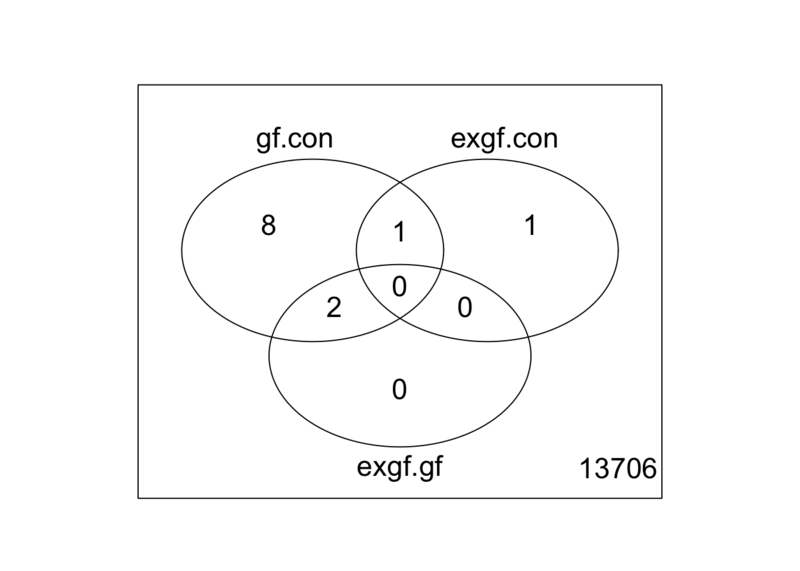 Remove the exgf sample that clusters with the gf samples. Review how to use model.matrix and limma::makeContrasts. 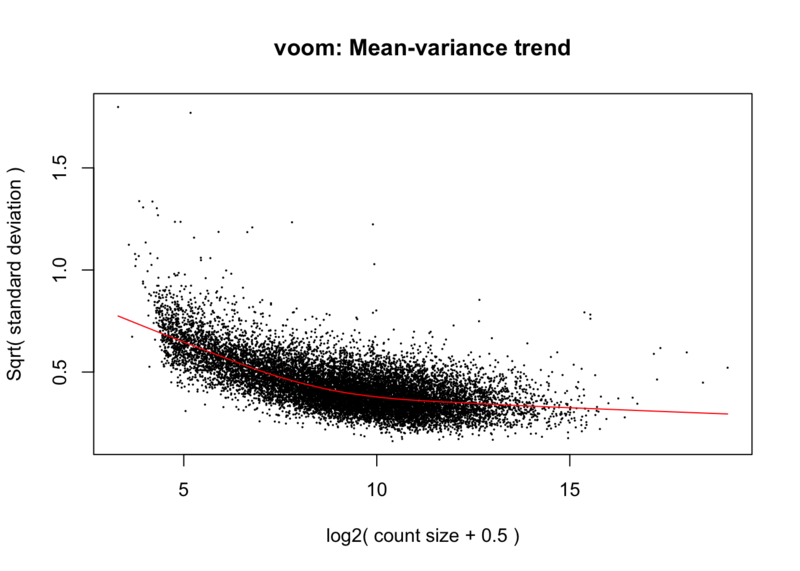 Describe how limma::voom corrects for the mean-variance relationship of the count data. Use model.matrix to create a linear model with three binary variables (group-means parametrization). Use limma::makeContrasts to test all pairwise comparisions. 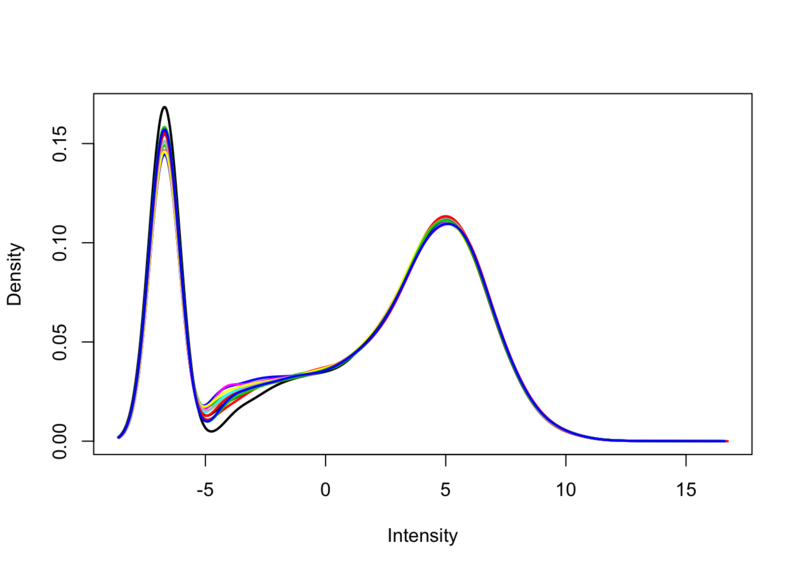 Use limma::voom to calculate weights for the linear model to account for the mean-variance relationship of the counts. 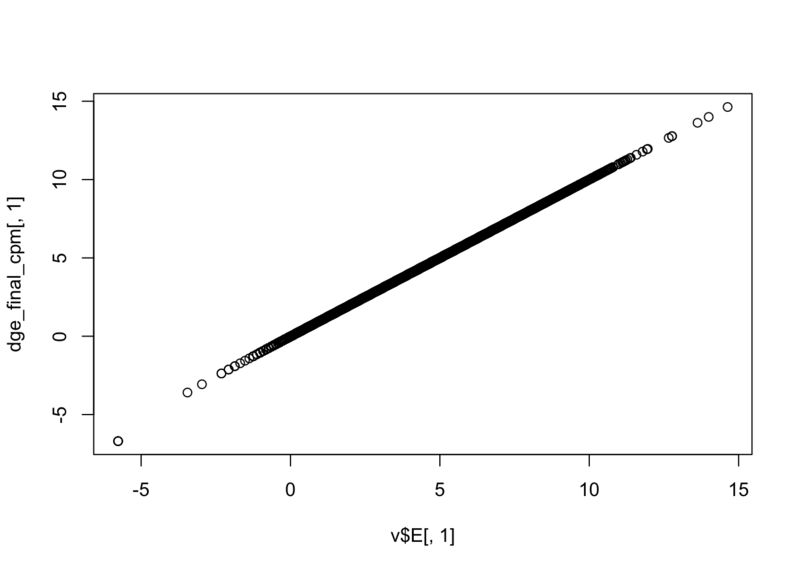 Set plot = TRUE to visualize the mean-variance trend. Explore the EList object returned to confirm that the expression values in E are simply the counts per million.